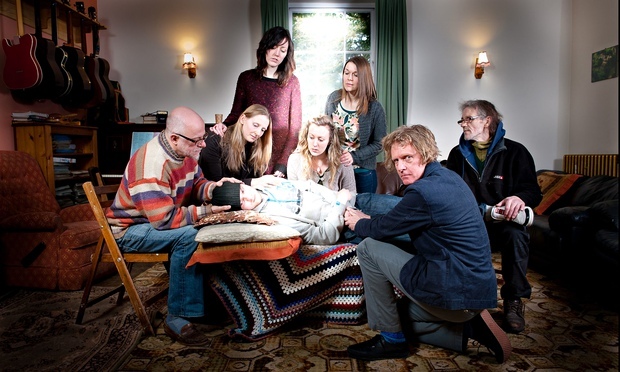 Channel 4 ‘Who are you?‘ series* by/with Turner-Prize winner Grayson Perry is a fascinating exploration into contemporary portraiture and society, as one alone was not already a big enough challenge! the series follows Perry’s creative journey to the production of portraits that capture individuals (not the usual portrait sitters) at a time of some kind of identity crisis – linked, for example, to gender transition, religion, fame and loss of status. In some ways, it could be argued that his sitters embody superdiverse Britain or perhaps ‘we’ (yes, I’m associating myself with some kind of British ‘us’, how strange and uninvited!) 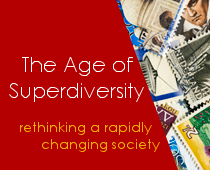 have always been superdiverse but before the pressure to put people into one-dimensional identity pigeon-holes was stronger, so what is superdiverse now is the eye of the observer. Either way, Grayson Perry is the ideal person to take on the task of telling these identity journeys and he does it with mastery and tremendous insight, successfully conveying the mundane and minute and yet heroic struggles every person goes through – to different degrees and at different times – throughout their life. It is a struggle that not necessarily surface, but it is through it that our own masterpiece, who we are, is forged as something multifaceted, imperfect, and ontologically unfinished, something intimately and uniquely personal and yet collective in many ways. For Perry this ontological instability is what we are, and in no way a problem. With an unusual degree of perceptivity, this series captures in ‘traditional’ portrait format a range of identity struggles and there is no better place to show them than the National Portrait Gallery – the home of the great and good or simply of the ultra-rich and powerful – where the portraits are currently exhibited. The ‘Earl of Essex’ aka Rylan Clark who came fifth in the talent show the X Factor in 2012 and won Celebrity Big Brother a few weeks later in January 2013 sits among royalties of various sort, the statue of the black transgender boy is among colonial masters and servile slaves, the broken pot of the fallen politicians among the evergreen political elite, the silk hijab portraying the life of a young working class Muslim convert among various pious and wealthy women. 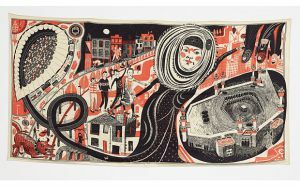 Merging together his British Museum’s celebration of craftsmanship to the Channel 4’s class rugs series, this latest work confirms once again Grayson Perry’s standing in the UK’s art and public landscape. His reflections on identity are never banal. The series is a skillful combination of words, images, photos, body language and nervous laughs that craft a narrative that is unstable, fluid, and honest. The production (the making) and the final products are of stunning beauty as one and in separation. The portrait of the elderly couple coping with Alzheimer and the slow but inexorable loss of identity that it inflicts on the sick person and on the couple as a whole is especially powerful and moving. *The series was broadcast in October 2014 but I bumped into it on a flight to New York in February 2015. It doesn’t really matter as it is still available on 4 on demand and the art work is still on display at the National Portrait Gallery in London (admission free, until 15 March).